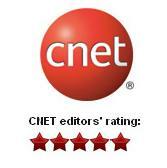 DVDSmith Online Support Center - How to choose Main Movie Manually? How to choose Main Movie Manually? Step 1: Please make sure that VLC media player is installed on your computer. Step 2: Open the movie DVD disc with VLC media player. 1. 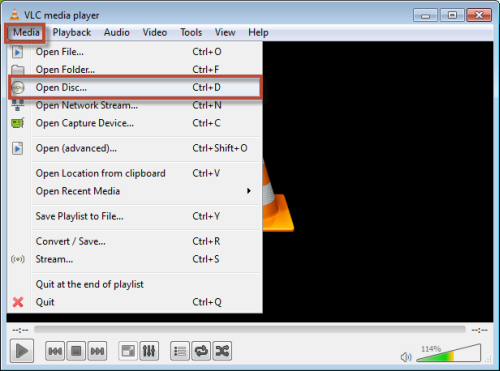 Open VLC media player, click "Media" on the upper left of the interface and then choose "Open Disc". 2. In the popup dialogue box, Disc Device column will show the name of the inserted disc. Click "Play" button to confirm. Note: If you have two DVD drivers or more and the Disc Device dose not show the one you want to copy, you can click "Browse" to select the correct DVD disc. 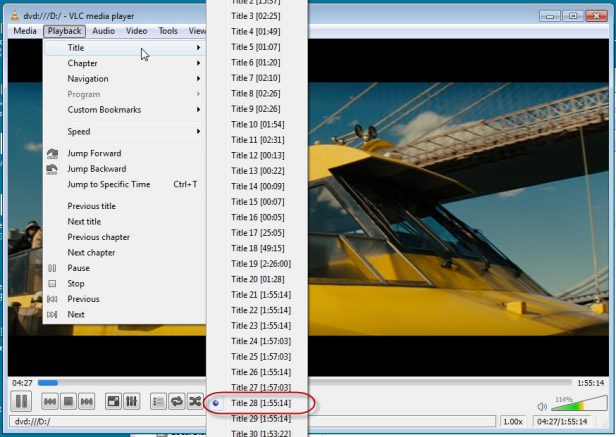 Step 3: When VLC media player is playing the main movie, click "Playback" tag and choose "Title". All the titles are in the list and the title which includes main movie will be marked. For example, you can see that title 28 is marked in the below picture. Note: Please remember that only when the player is playing the main movie part can you find the correct title. Step 4: Open Any DVD Cloner Platinum and choose "Customize" under DVD Clone tag. Step 5: Deselect all the titles. Step 6: Choose the title that was marked in Step 3. Take the previous example, you need to select title 28 in the window. Step 6: Click "Start" button to copy the main movie.